Music is said to be the life of many people, they love to listen music while working out or driving. 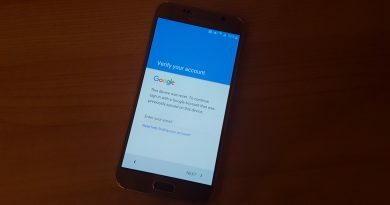 Android is one of the best worldwide operating systems with many great apps to download.Downloading music from websites for free seems to be very difficult task, but not anymore, because best mp3 downloaders for Android are available in App Store, which helps you to search and download music straight into your device. 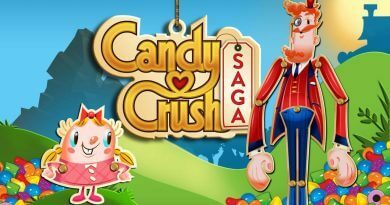 In this guide, you will get to know about some best Apps through which you will be able to download music directly into your Android mobile device. 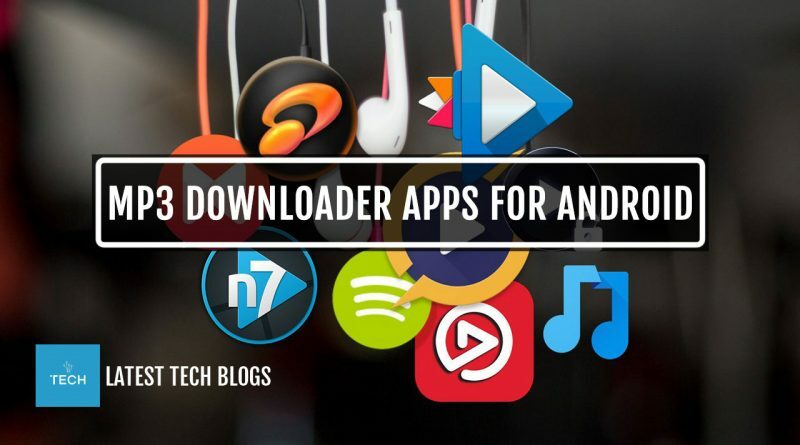 Tunee App Downloader is an application from where you can download your favorite songs or just listen them without downloading through a simple player with Play and Pause options. You can search songs by typing name of the song or just the artist. You can also download multiple songs at a time. Music Maniac-MP3 Downloader is an app, which allows you to download songs for free and it doesn’t even require internet connection. It allows you to download songs for free and quality of MP3 is usually good. 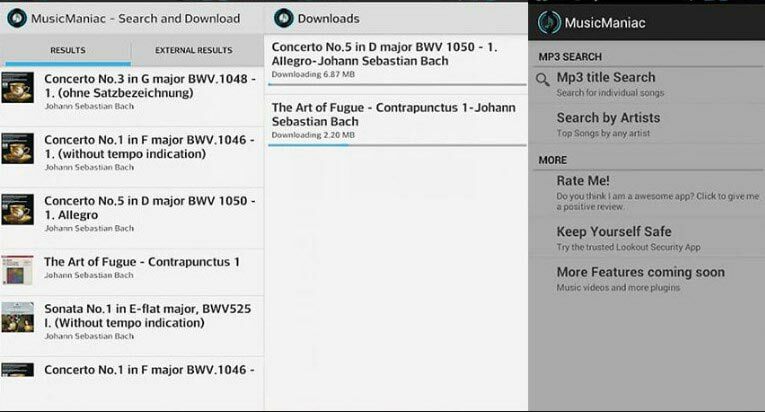 Music download is a very simple App, which allows users to download songs from legal sites. You just need an internet connection to download songs for free. In this app, you can also see lyrics while listening the song. CopyLeft Music Mp3 allows you to listen the songs of your choice online and to download it for free. 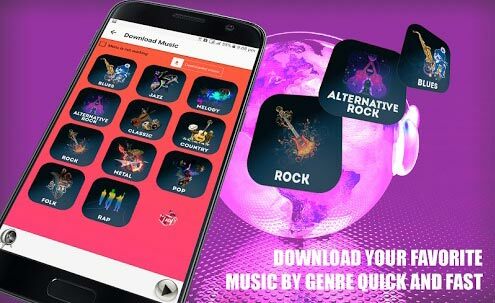 Songs, which are available in this app are available under CopyLeft and Creative Commons License, but soon you will discover that every song, album and artist’s songs are available in this app. 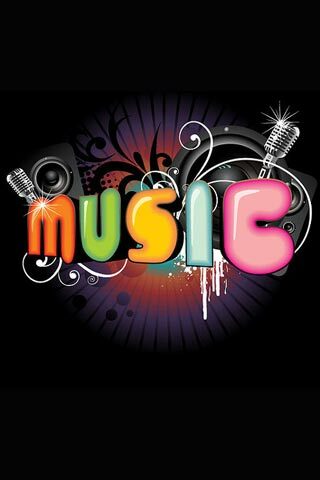 GTunes Music is a simple and user friendly app. You just have to search, find, download, and listen. You just have to type name of the artist or your favorite song. This application allows you to listen to preview of songs to make sure this is what you want to download. Through this app, you can set songs as ringtones and also set them to individual contacts. MP3 Music Download Pro allows you to download songs legally for free. This app allows you to multiple tabs which you can use at same time like search engine, your library and your download list. In this app you can also have an equalizer that allows you to listen songs exactly how you like. 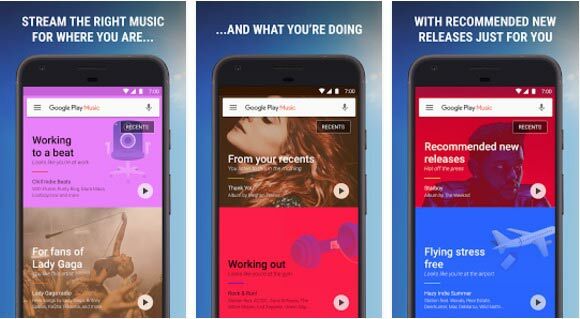 Google Play Music is the official app of Google, which allows users to listen their favorite music. You just have to register an account then all albums and songs will be stored online and there will be no shortage of space again. 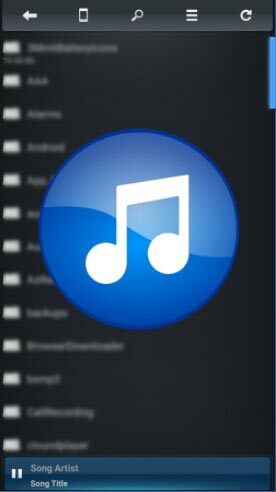 You can organize and create playlist and can easily access them anytime. 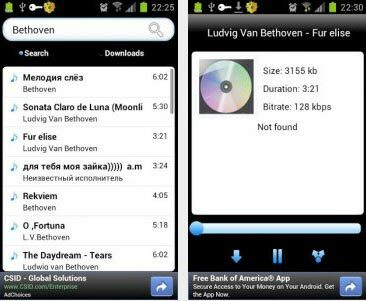 Above mention are some best music downloader apps for Android 2017, now you can enjoy best quality and free music anywhere and anytime you like.